5 Star Brand Case Study. 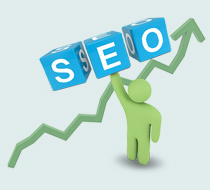 How SEO & Local Buzz saved the day! Every business needs to get noticed. It’s not enough to have a great product and service. If no one knows you exist or if they cannot find you when they search online, you will have a hard time getting the business you need to succeed. When Sycamore Terrace Apartments approached us, we ran a thorough set of analytical reports to uncover every aspect of the client’s online presence.The problem became immediately apparent. They were hard to find online. 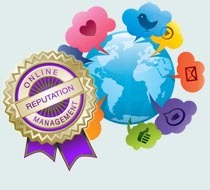 If you’d like to see a quick snapshot of what challenges your local online presence might be facing and what people are saying about you, go to the top of this page and order your free Branding / Reputation Report. There is no obligation and you might be surprised at what you find. Sycamore Terrace Apartments had a web site that was flash-based, so many mobile devices could not view it, but even worse, the site could not be optimized for the search engines to find them. Like many corporate holdings, the Sycamore apartment web site was just a series of pages on their management company’s corporate web site. There was no way to make the site work for local or mobile optimization. When we ran our thorough analysis of Sycamore Terrace Apartment’s online presence we discovered that they were nowhere to be found except on several advertising sites like forrent.com and apartmentfinder.com where they had been spending a sizable budget for advertisements. While there is nothing wrong with such advertising, these publishing companies spend all their SEO and marketing budget promoting themselves, not their advertisers. This resulted in two losses for our client. First, our client could only be found by a searcher who was overwhelmed with options when visiting the publisher’s web site. Our client was lost in the crowd. Second, all the leads gathered became the property of the publisher and were used to further their goals rather than the goal of our client. Of course, without a web site that the search engines could find, we were not surprised to find they didn’t appear on keyword searches. Still, there are literally hundreds of directory sites, dozens of blog sites and many social media sites where they could be showing up for free. Many searchers find what they want through such sources. Sycamore Terrace Apartments was also not listed on any of those sites either. Even though Sycamore Terrace was getting leads from the ad publishers, they had to rely on those publishers to drive traffic to them. That left them with little or no power to drive traffic themselves. In addition, when leads did came in, they were seldom well informed about the product and Sycamore Terrace had no system in place to pre-qualify them, and then to put them into a systematized follow up program. 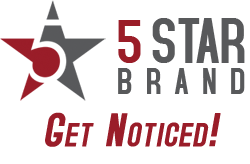 We insured that the site was designed from the ground up to collect leads (with calls to action and lead capture blocks on every page) and to be Search Engine Friendly. We designed it to be easy to navigate so that the most relevant information would be easy to find by the typical apartment searcher. We created a special “Google Voice” phone number on the site so the client could easily track any calls that came in from that source. Finally we set them up with our proprietary multi-channel marketing tool-set so they could automatically collect leads from the site and send automated multi-channel communications to them. Having a strong, lead grabbing web site is only half the battle. If no one sees it, it does no good so we implemented our three-prong approach to driving traffic to the new Sycamore Terrace Apartments site. 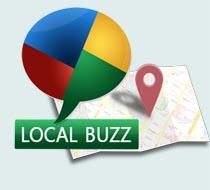 To build brand recognition locally, there is no better service anywhere than our Local Buzz service. Even before the web site went live, we started, through Local Buzz, to make sure our client’s Name, Address, Phone and Email contacts were posted consistently on dozens of free ad sites, directories and social media sites. We set up Facebook Business Page, Google Plus Page, Bing business page, to name a few and began posting reviews and blog comments in many locations. 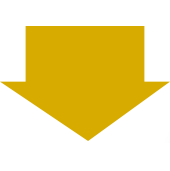 Be sure to navigate our 5starbrand.com site for details on what each of our services entail and what they have to offer your business. As soon as the site was up, we started a thorough Search Engine Optimization (SEO) campaign and began tracking the lead performance. We even ran a brief Google Adwords (Pay Per Click) campaign to drive immediate traffic during a period of sudden need for new clients. Little more needs to be said. We ran a study with the client to determine how many maximum leads they need per week to meet their occupancy goals. The result was 6.7 leads per week to keep occupancy around 95% for their 225 unit complex. We achieved a consistent average of 10 leads per week within four months and that performance has held steady since. In addition, we proved that we can use Pay per Click ads to double the number of leads at any time that there is an unusual number of units available. This client was delighted not only with the number of leads but with the quality of the leads who came in much better informed about the product, and ready to buy. Sycamore Terrace staff indicated their delight with the occasions when they come in on Page 1 of Google and with their 97% occupancy! 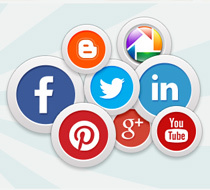 We can generate local buzz and a complete marketing program for your local business as well. Send us an email now at jim@5StarBrand.com or call us at 1-951-821-8659 so we can schedule your free consultation.